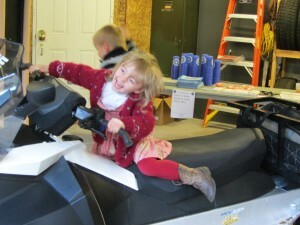 The Town of Webb Police Department held an Open House at their station on Thursday, October 29. This entry was posted in admin and tagged open house, Town of Webb Police Department on November 5, 2015 by Gina Greco. 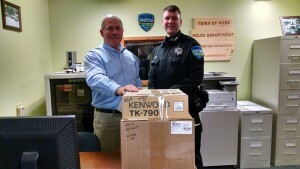 Herkimer County Sheriff Chris Farber was in Old Forge on Tuesday, October 27 to deliver a mobile radio and related equipment to the Town of Webb Police Department. 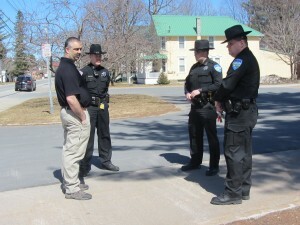 The equipment was acquired through a Homeland Security Grant administered through the Sheriff’s Office. This entry was posted in admin and tagged Herkimer County Sheriff, Town of Webb Police Department on October 29, 2015 by Gina Greco. This entry was posted in admin and tagged Town of Webb Police Department, Town of Webb Police report on April 16, 2015 by Gina Greco. 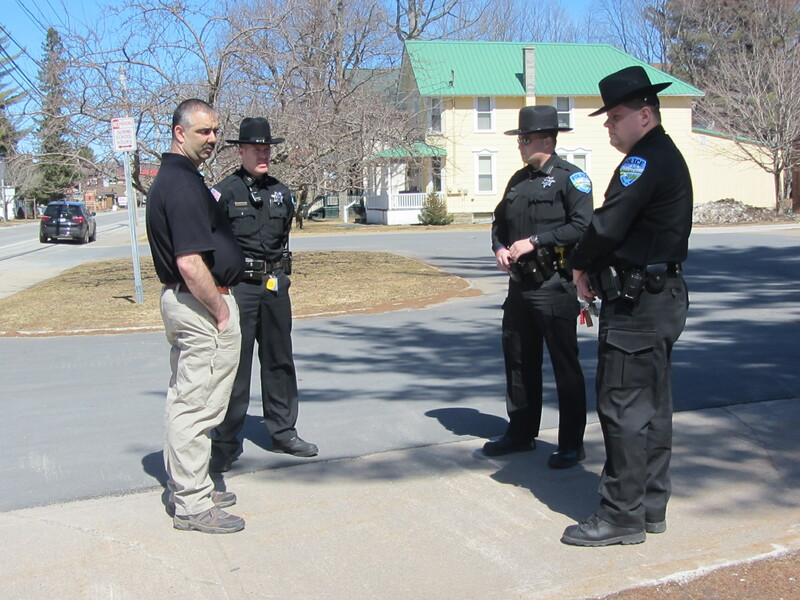 Town of Webb Police personnel participated in Operation Safe Stop Education and Enforcement Day on Thursday, April 16, joining law enforcement agencies from across New York state in the initiative to promote school bus safety. This entry was posted in admin and tagged NYS Bus Safety day, Town of Webb Police Department on April 16, 2015 by Marianne Christy.